Festivals are a fantastic tool for both recruiting and retaining students. They can help engage your more advanced musicians while providing others with an incentive to improve. They’re also a great way to collect quantifiable data to help ensure the continuation of your program and the support of your administration. 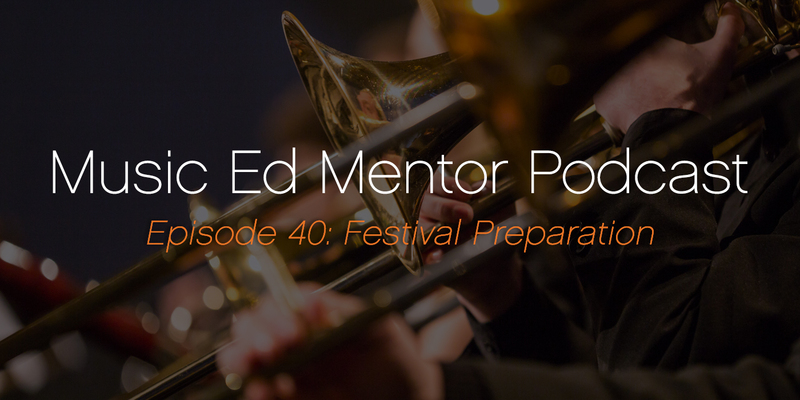 This episode is dedicated to everyone who gets to take students to festival. Our goal is to help you streamline the logistics of festival prep while ensuring your ensemble sounds great and everyone has a great time. Joining me in the discussion is David Knott, music education specialist, professional percussionist, leadership advocate, and middle school band teacher at the Milton Hershey School. David is also the founder of the Central Pennsylvania Wind Conductors’ Society and conductor of the Hershey, Pennsylvania Mozart and Friends Festival Orchestra. What about privacy policies for your students’ medical forms? Who should you recruit to be chaperones? How do you best use time with a visiting clinician? Can you provide a quality festival experience without travel resources? You can skill give kids a festival-like experience without all the expense involved in travel. Bring in a clinician not only to work with your students, but also to work with you. Next level for your kids: give them a base of knowledge of the rubric language that will be used for festival evaluation. This week’s bonus content lists twelve ways you can help your students to mentally prepare for festival. Enter your email below to download this free PDF. Elisa Janson Jones specializes in helping music educators build, grow, and manage thriving school music programs. With an MBA alongside her degree in music, she is also a coach and consultant to small businesses and nonprofits around the country, and serves as the conductor of her local community band. 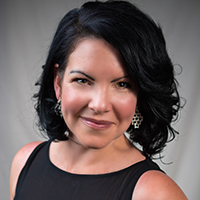 She has been teaching music for nearly 20 years and currently holds the prestigious position of elementary music teacher at a private K-8 Catholic School in Grand Junction, Colorado. Elisa was a top presenter at the NAfME National Conference in 2017 and will be presenting at state conferences in 2018. She is the founder of the International Music Education Summit and the author of The Music Educator’s Guide to Thrive.